It has been a tremendous 24 hours for the Snodgrass family. Last night, the York Dukes finished off an incredible state championship run by shutting out Omaha Skutt Catholic 31-0 to win its first state championship. The Dukes completed their run by winning 12 games in row. Head coach Glen Snodgrass did a tremendous job navigating injuries, and the team peaked at the right time. One of York’s best players happens to be Coach Snodgrass’s son, Garrett Snodgrass‍. The 2019 prospect (6-3, 205) is a do-everything player for the Dukes. He plays tight end, running back, quarterback and wide receiver on offense. He also is a star outside linebacker on defense. In last night’s state championship win, he rushed for 209 yards on 26 carries and added two touchdowns. On defense he had five tackles, 1.5 for loss, a sack and three pass breakups. Simply put, he’s just a great football player. Support has been strong for him within the Husker recruiting staff to get the rising junior a scholarship offer to Nebraska and on Tuesday morning, it happened. Snodgrass gets major props for using the old school Huskers logo. He adds the Nebraska offer to a list that includes South Dakota and South Dakota State. Nebraska did well to get its hat in the ring as his recruitment is sure to heat up over the next year. 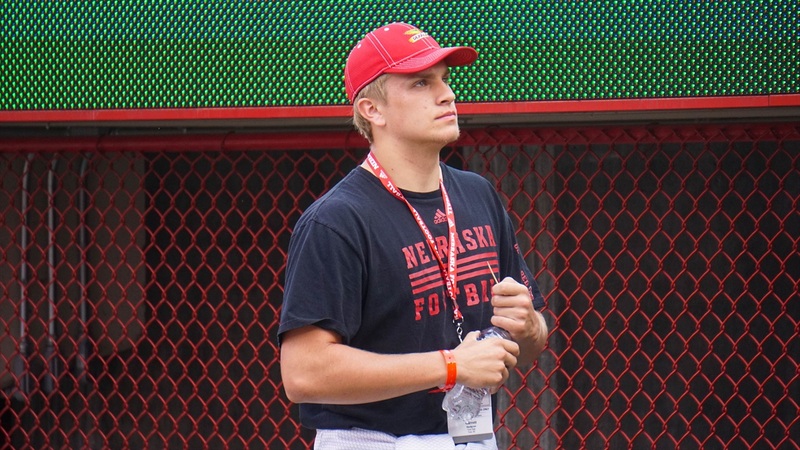 Snodgrass figures to be one of the top players in the state next season along with Nebraska commit Garett Nelson, a defensive end, and the Omaha Burke duo of 4-star linebacker Nick Henrich and 3-star tight end Chris Hickman.